Gov. Jerry Brown spoke to a joint session of the Legislature in Sacramento during his inaugural address on Monday. During his fourth inaugural address in Sacramento Monday, Gov. Jerry Brown focused heavily on energy efficiency, calling for further cuts in consumption as a way to combat global warming. 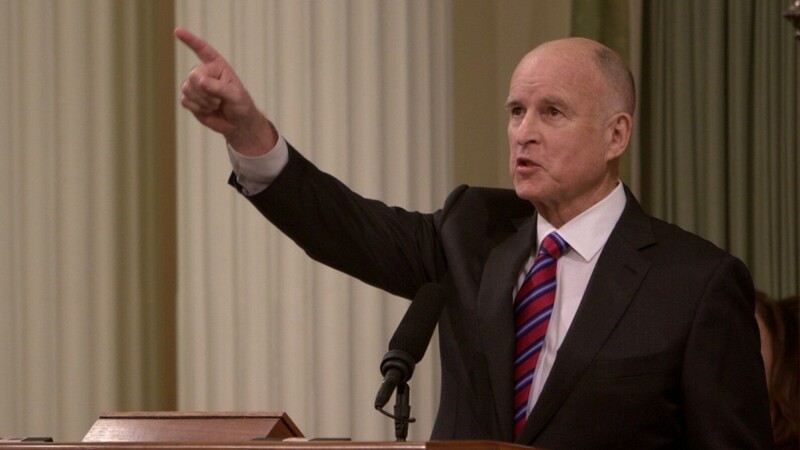 "Taking significant amounts of carbon out of our economy without harming its vibrancy," Brown said, "is exactly the sort of challenge at which California excels." The governor recommended three items including increasing renewable energy production, decreasing petroleum use and making buildings and heating fuels more efficient. "This is exciting," Brown said, "it is bold and it is absolutely necessary if we are to have any chance of stopping potentially catastrophic changes to our climate system." California's landmark greenhouse gas emissions bills mandated that 33 percent of the state's energy must come from renewable sources like wind, solar, geothermal and hydropower by 2020. During his speech, Brown upped that goal to 50 percent by 2030. Currently, about 20 percent of California's energy comes from renewables, and the latest report from the California Energy Commission says that number should reach 25 percent by 2016. Among the suggestions Brown offered to meet his aggressive goals: distributed power, expanded rooftop solar, micro-grids, an energy imbalance market, battery storage, and millions of electric and low-carbon vehicles. He acknowledged the goals would be costly but are necessary since current measures alone "are not enough." "The challenge is to build for the future, not steal from it," Brown said, "to live within our means and to keep California ever golden and creative."